Who’s to blame for the Lightning disappointment? They are dazed. They are wounded. They are hanging on to the ropes. They are bloodied. They are baffled. They are looking for relief. expectations, there has to be a reason for such a complete disappointment. The Lightning, the high-flying Lightning, cannot find the opposing goal. They no longer streak past the enemy. They no longer look danger. They have been outscored 9-4, and that was with a three-goal lead. They are Mike Tyson on cleats. They are the '08 Patriots. They are the '69 Colts. They are falling, and who knows if they can get up? But who is the most disappointing member of the Lightning so far? Who has the most egg on the biggest portion of his face? 1. 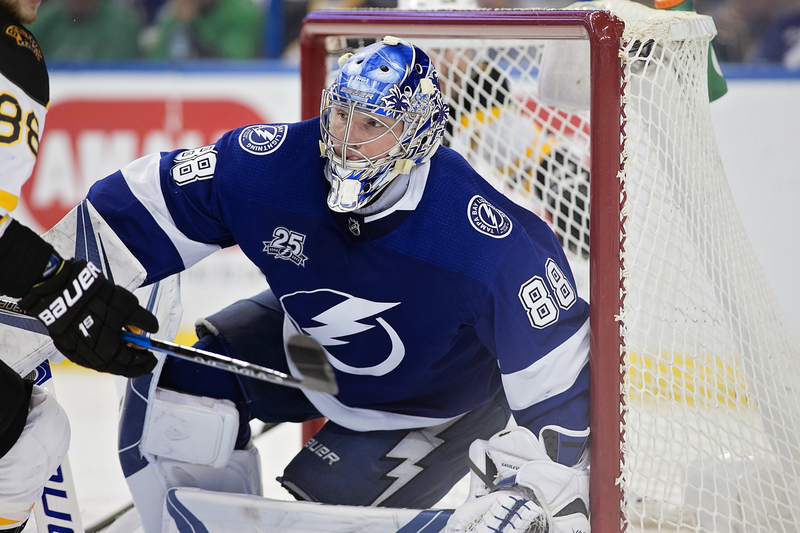 Andrei Vasilevskiy: Coming into the series, you would have said the Big Cat was one of the biggest reasons the Bolts would win. After all, his 39 victories paced the NHL's regular season, following his 44-win season of a year ago. But Vasilevskiy simply hasn't been good. He is last in the NHL in save percentage (in the playoffs) and last in goals against average. He's giving up 4.56 goals per game. In the playoffs, that won't give a team a chance. 2. 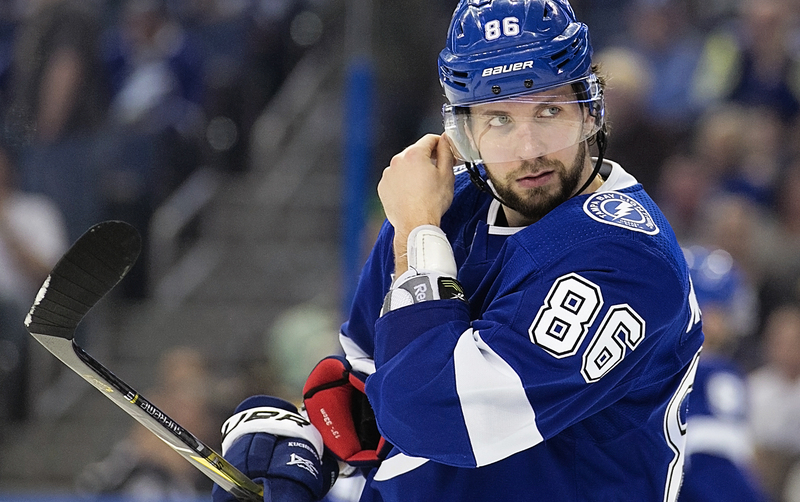 Nikita Kucherov: Kucherov led the league with 128 points in the regular season, but he's been invisible so far this playoff. Even worse, he has been suspended for Game Three. 3; Steven Stamkos; Stamkos had his best season as far as points, but he hasn't registered a point in the post-season. He's missed on all eight shots, and overall, he's a minus three. 4. Victor Hedman: By now, we are used to the presence of Hedman. But he's got a minus-two plus-minus, which ranks 260th in the NHL. 5. Special teams: The Lightning is tied for last in the NHL in power plays and penalty killing. Any questions? 6. Jon Cooper: What? If you're going to give him credit for his wins, then he has to absorb some of the blame when he doesn't. Cooper's team didn't handle a lead in Game One, and in Game Two, they never competed. 7. Depth: In two games, neither Kucherov nor Stamkos have scored. But neither has Brayden Point or Tyler Johnson or Ondrej Palat or Ryan Miller. Only two forwards have scored in two games. 8. Scoring: The Lightning were dynamic in the regular season with 235 goals. But they're tied for 11th in the NHL with two goals a game. Those teams they're tied with? None of them have a win, either. 9. Defense: The Lightning has given up more goals than any team in the playoffs. 10. Physicality: That's a familiar flaw for the Bolts, but against the Blue Jackets, they've been so outmuscled they've lost their structure. Does anyone remember the Washington series last year? Interesting question, who wont be here next year? lets try Killorn, Johnson, Callahan, Garardi, and the nice guy front from Cooper. Cooper will have a chip on his shoulder. I think Cooper realizes there is nothing to be gained by embarrassing a player in public. He may be more of a badass behind the scenes. I woudln’t be surprised if all four of the guys you mentioned are gone. Also Callahan, Coburn. and maybe Miller. Time for the Lightning to circle the wagons. No doubt this is their greatest test and we will find out what this team is really made of. I’m not ready to give up yet but after a season where everything went right, it’s all going wrong so far in the playoffs. Yeah. What else could go wrong? It’s hard to find a reason to be optimistic, isn’t it? Another candidate(s) would be the local media, many who were handing the Cup to the Bolts ever since October. They, especially the radio guys, had us all believing that skill alone creates success. As we’re finding out, the mental part of the game, including coaching strategy, often nullifies skill level. The next bit of fun will be guessing who won’t be around next year. Well, we can guess Callahan. Maybe Tyler goes in the expansion draft. Maybe Palat.